D.M. Ferry & Co. Seed packets. So cute. 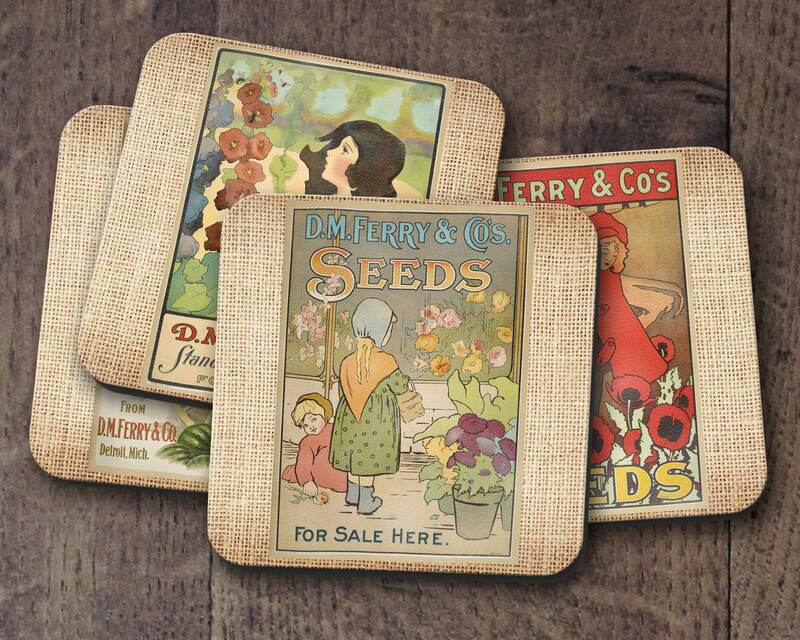 Coasters would look so cute in a country kitchen. 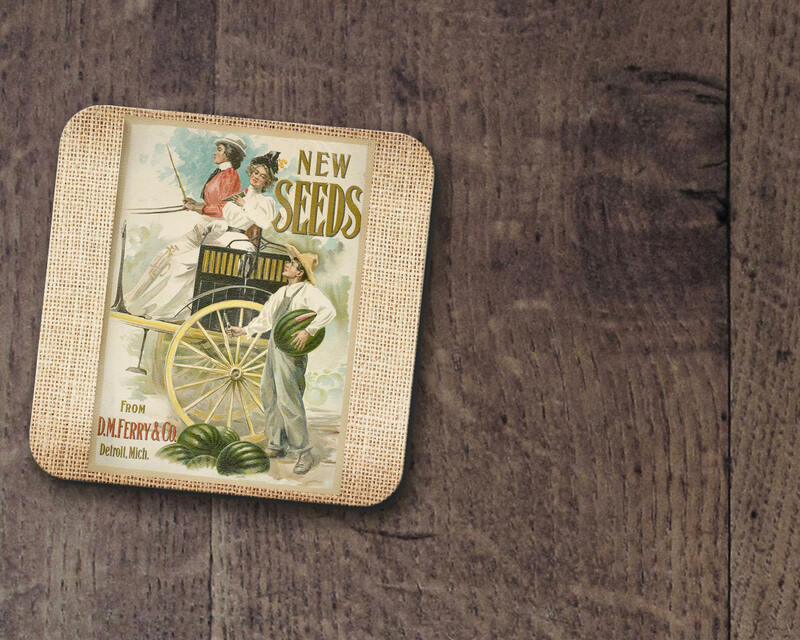 Coasters are brand new with vintage packet imagery dye sublimated onto them. A set of four coasters. 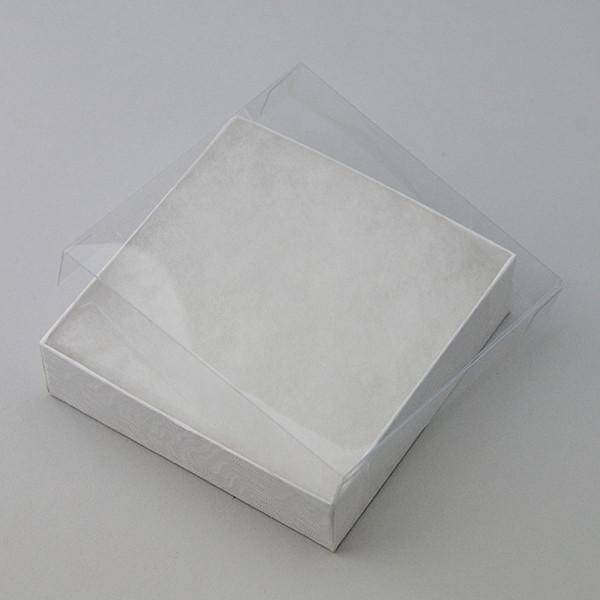 Packaged in a white rigid chipboard box with a clear vinyl lid. 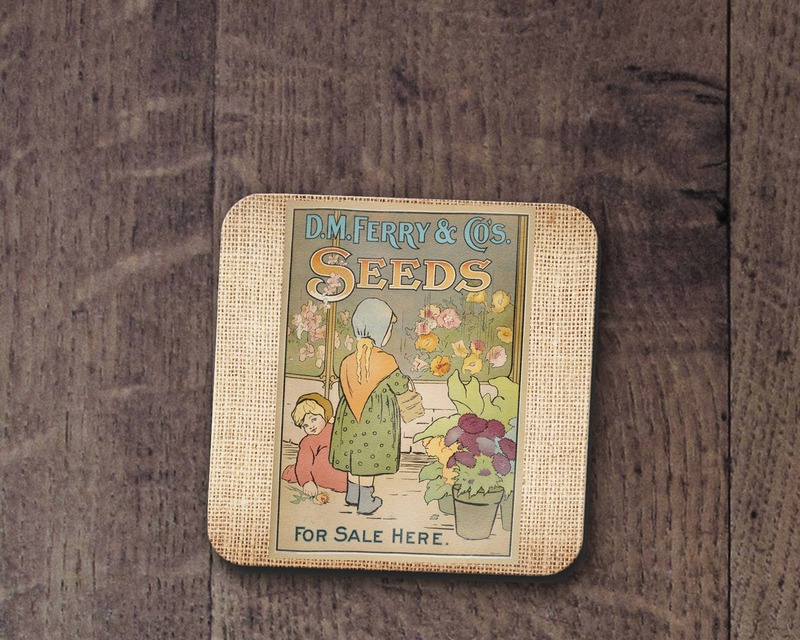 These coasters feature a printed fabric polyester top, with a no-skid 1/4" thick black rubber backing. 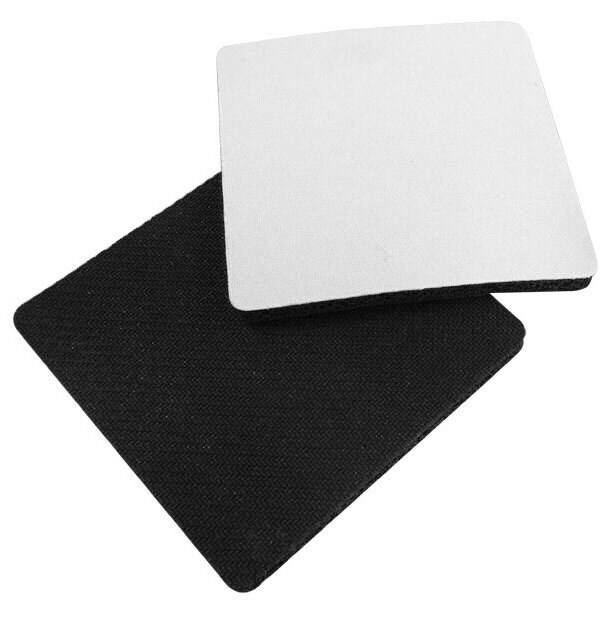 They are sized at 4" x 4" with 1/4" radius rounded corners. These coasters are commercial quality! The coasters are created using a process called Dye Sublimation. The science behind sublimation printing is simple -- when heated to a high temperature, the sublimation ink turns into a gas, allowing it to enter into the open pores of the polyester-coated item. Once removed from the ink, the pores of the item cool and close up, trapping the ink (and image) inside the surface of the item. The sublimated image will be smooth to the touch and is a permanent application. What a great gift idea! 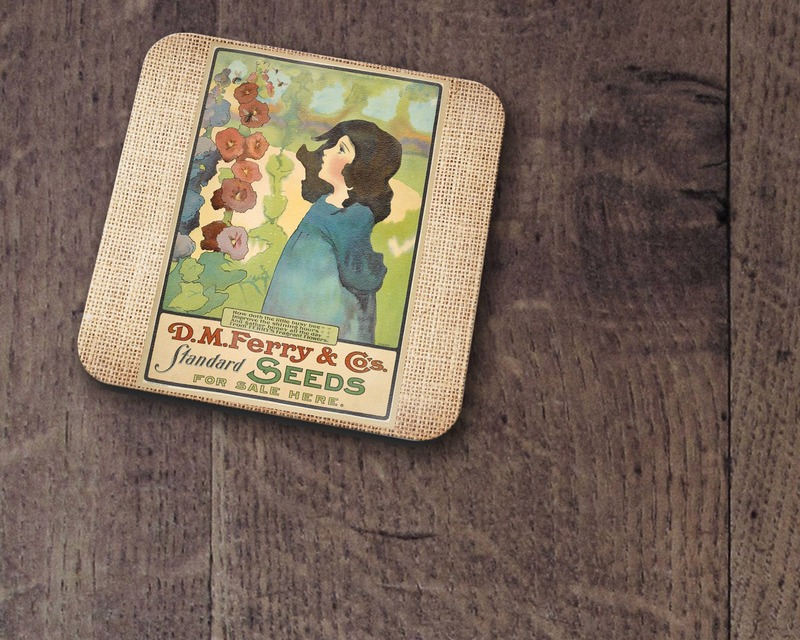 You can customize coasters with pictures of family and friends for weddings, housewarmings and birthdays! 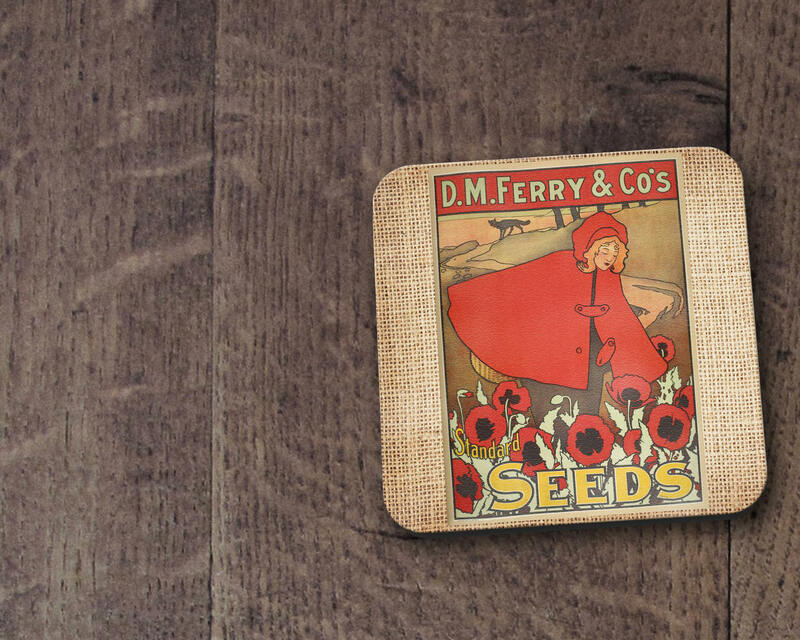 Companies can also add a little extra class to their board room by adding their logo or company name to their coasters for all clients to see.